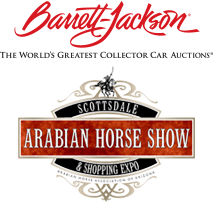 (SCOTTSDALE, Ariz.) As the Bentley Scottsdale Polo Championships: Horses & Horsepower enters its 4th year October 25th and 26th, it continues to garner national attention and increased awareness for Scottsdale as evidenced by the United States Polo Association’s decision to hold its annual meeting in Scottsdale to coincide with the event. It is now the most attended polo event in the United States with more than 12,000 attending the 2013 event. The numbers got the attention of the United States Polo Association which decided to hold its annual meeting in Scottsdale October 22nd through the 26th. The meeting will result in people traveling from all over the country and result in hundreds of room nights alone at the USPA’s host hotel, the Valley Ho in Scottsdale. Established in 1890, The USPA is dedicated to growing recognition for polo, organizing tournaments, establishing rules, creating educational programs, coordinating interscholastic and intercollegiate competitions, and providing the handicaps for polo players all over the country. This year’s Bentley Scottsdale Polo Championships: Horses & Horsepower gets started on Saturday, October 25th, when gates open at 11:00 a.m. The lineup features what will be the top women’s team in the world during 2014. They will take on the reigning event champions, the Clogau Wales Polo Team, which plays with Prince Charles, Prince William and Prince Harry, in a “Battle of the Sexes” match. Earlier on Saturday the Scottsdale All-Stars Polo Team will take on the Gay Polo League team. The Gay Polo League, based in Florida, is the world’s only organized gay polo league. An All-Star match between Saturday’s top players will take place alongside the USPA Governor’s Cup on Sunday, October 26, commemorating the United States Polo Association’s decision to hold its prestigious Annual Meeting in conjunction with this year’s event. On Sunday, America’s top ranked professional, Julio Arellano, will play. Last November, the Scottsdale Polo Championships drew the biggest crowd in the country for a two-day polo event with approximately 12,442 fans enjoying the four-match showdown at the annual Polo Party. Tickets, tables and tents are now on sale. For more information please go to www.thepoloparty.com. For a complete list of event sponsors please click here.